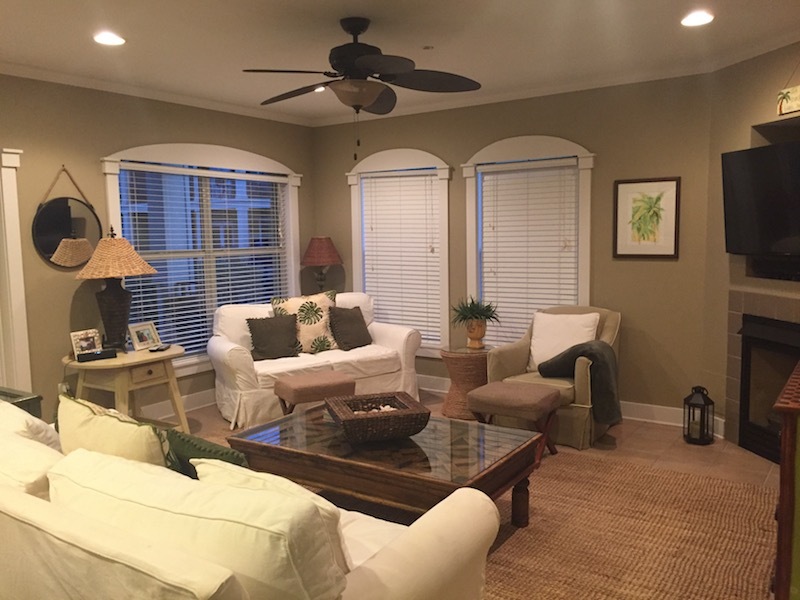 “It’s a Beautiful day” located in the beautiful community of Seacrest Beach, is a comfortable, updated condominium overlooking a 12,000 square foot pool. Enjoy the view from our comfortable balcony. This condo is located on the 3rd. floor which has an elevator and is handicap accessible. We’re nestled between Aly’s Beach and Rosemary Beach where you can enjoy remarkable restaurants and plenty of shopping available within walking distance. This beautifully decorated condo is 2,000 square feet, 4 bedrooms, 3 baths with all the amenities of home. We stock our condo with all the amenities (paper towels, paper products, laundry supplies and spices) for your convienence, wireless internet, 5 flat screen TV’s, Blue ray DVD, HDMI, Netflix & board games. A balcony with plenty of seating and a view to die for. Only a short walk across 30A to the gorgeous beach. The owners keep the condo stocked with laundry supplies, paper products and much more.